Very Good. 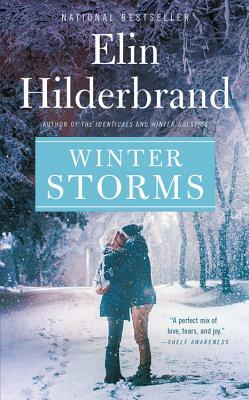 Winter Storms (Winter Street) by Hilderbrand, Elin, 2018-09-25. Mass market (rack) paperback. Glued binding. 224 p. Winter Street, 3. Very Good. Winter Storms (Winter Street) by Hilderbrand, Elin, 2017-10-03. Trade paperback (US). Glued binding. 256 p. Winter Street, 3. Very Good. The Quinn family celebrate their most dramatic Christmas yet in this enchanting novel, which follows Elin Hilderbrand's bestselling WINTER STREET and CHRISTMAS ON NANTUCKET. Trade paperback (UK). 256 p. None.